Supplying commentary systems, video broadcasting and integrated solutions to the live events industry. Our team at KJE Broadcast are proud to be a market leader in delivering and managing event commentary systems, public address systems, fibre optic broadcast and video distribution to events across the UK and Europe. Bringing together a dedicated team experienced in providing dynamic event solutions and giving them the tools and infrastructure to produce quality results for all our clients. Using the latest advancements in fibre optic transmission equipment and the DANTE protocol we are able to offer competitive pricing without compromising our outstanding results and crystal clear audio for events that range from sporting events and country fairs to festivals and corporate art fairs. This means that regardless of the nature and size of your event we can provide systems that are capable of maintaining intelligibility without the requirement of being excessively loud. With continued investment not only into our hire stock but also in the research and development of further advancements it means that we are constantly challenging the existing options available and providing our clients with the latest technologies from a company at the forefront of the industry. 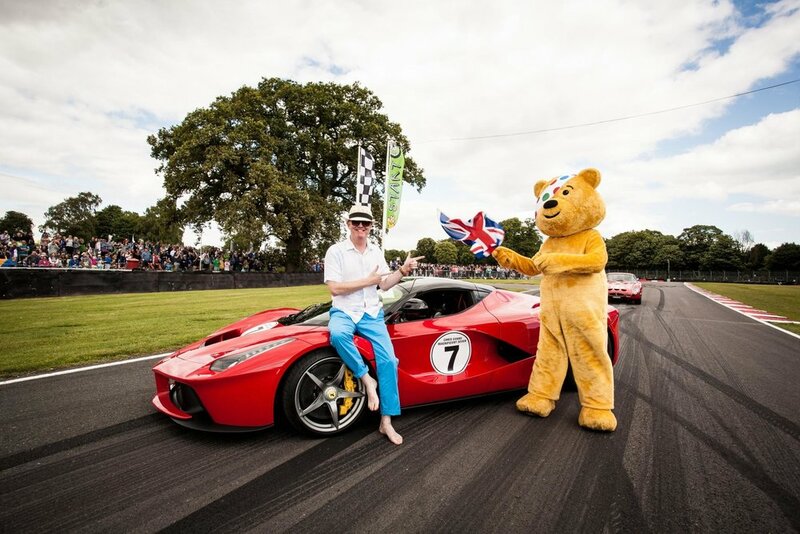 We have been providing commentary and integrated emergency systems to Brand Events for Chris Evans' CarFest Event since its creation in 2012 and we are extremely proud to have been apart of raising money for BBC Children in Need for the last five years. CarFest 2017 was our biggest to date which involved over 120 horn speakers and columns using over 7km of fibre optic and 11km of audio signal cabling across the site at Bolesworth Estate. Using our equipment we are able to independently control the content and volume in each of the eight separate area's across the event site, this was in turn integrated to the main stage sound system via a digital audio feed to provide further enhancement and capacity for announcements in emergency situations, even over a noise of a Ferrari engine. Kevin explains that "Each area of the event required careful acoustic planning so there would be no noise disruptions or interferace to the adjoining seminars". We also needed to be dynamic and adhere to a very strict and tight production schedule whilst working closely with other contractors across the site. The client required the system to be installed and remain operational for an extended period and with no requirement for an onsite technician we had to ensure the system was extremely reliable and provide ease of use in emergency situations. We were contacted following a long standing relationship with our client due to the challenges that would be present working in an environment that included live public roads surrounding the SECC in Glasgow. This meant meticulous planning when it came to organising our schedule of works with the other contractors and maintaining a good relationship whilst working in close proximity and remaining safe without disrupting the public road. Other unique aspects of this build included having to fabricate custom brackets to attach speakers to existing infrastructure including lamp posts. 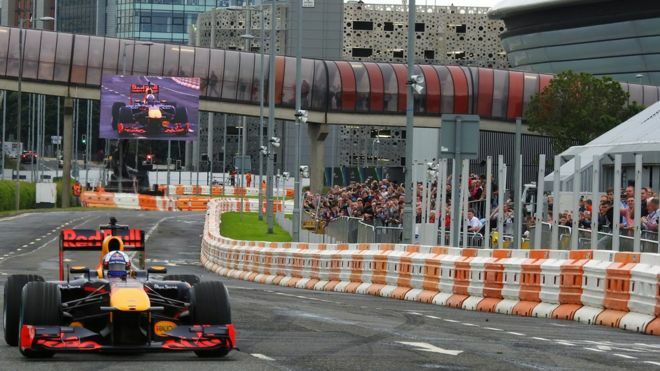 We achieved all of this to make sure that the crowds could hear the commentary even over the engine of the Red Bull Formula One car.